I think I remember something similar being reported a while ago. I thought we fixed it. Could you please take a screenshot and upload it here? If you loose one of these two conditions either Windows, either DT language, the bug disappears. I am finally left to DT in English. What happens when you import the image in an English darktable (so everything is correct), close darktable and open it in French? Where does the map put your image? The right place? So it seems to be indeed the reading of the file and not the subsequent display on the map. I’ll try to make a debug build tomorrow, maybe that will tell us what’s going on. Please install this new snapshot installer. Ontop of the sources in git I also added some debug prints when importing images with GPS coordinates. 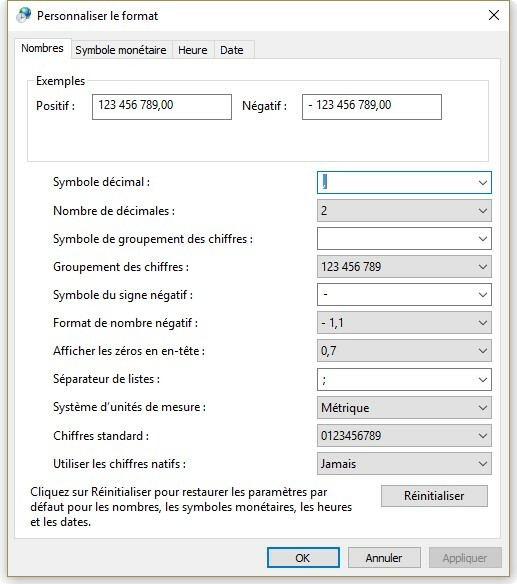 If I remember it correctly, Windows has f-i-v-e different major FR settings (Belgium, Canada, France, Luxembourg, Switzerland) plus e-i-g-h-t minor ones (Cameroon, Congo, Côte d’Ivoire, Mali, Monaco, Morocco, Senegal, West Indies), i.e. 13 different settings for one parameter or more. Would DT recognize them all or could this be the reason for the non-correct interpretation? @csierra02: exactly which FR setting do you use? @Claes I suppose there will always be regional differences. We just need to be aware of language conventions that actually interfere with the programming efforts of our dear (grumpy) devs. That is why I used the vague term conventions. Look no further than conventions within a country. Even then, people can’t decide how to format their date and time. This solution worked! I believe your suggestion is a more straightforward way of doing things as opposed to the work-around I used which was to insert the text as an image; group both images; then flatten transparencies. Thank you, Sergei. Conclusion: it was not Darktable’s fault, but a step I didn’t know about (and obviously missed) when using Inkscape. Now… going back to my next batch of exports! local dt = require "darktable"
local df = require "lib/dtutils.file"
I’m very happy to hear! I installed several times Linux but always had some issues and actually I’m quiet happy with Win10… So I looked for a lot alternatives to darktable, but to me it’s the best software (maybe besides the Adobe… but never tested). If I run an program from an Lua script it opens a terminal window and the program itself. I don’t think that is intended. It’s not intended, but I don’t see a way to fix it. It seems that Lua itself is quite broken on Windows. So unless we want to fork it we have to deal with all the bugs it has.